That was all it took for the iconic former world No 1 to reveal to the world that he was ready to spring back into action this week at his first competitive start since the US Masters. While making the announcement through his Twitter account, Woods also confirmed he had also entered in the following week’s Players Championship. It’s no great shock that a fit-again Woods is ready to play. It was always assumed he would want a round or two of competitive golf under his belt before heading to the Players Championship in Florida. Woods has had six previous starts in Charlotte, boasting a win in 2007 and two other top-five finishes but this will be his first appearance at Quail Hollow since 2012. It’s also his seventh start on the PGA Tour in 2018 since returning from spinal fusion surgery performed just over a year ago. Quail Hollow also was the venue for last year’s PGA Championship, won by fellow American Justin Thomas. Obviously Woods missed all of last year’s major championships. The Players Championship in two weeks is regarded as the fifth major although Woods has not played there since 2015 either. 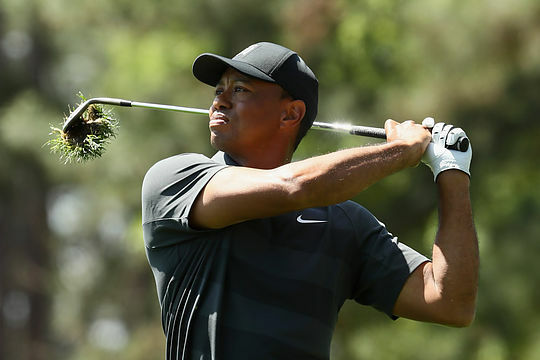 In six outings on tour this season, Woods has made five cuts, highlighted by a tie for second placing behind Paul Casey at the Valspar Championship and a tie for fifth [behind Rory McIlroy] at the Bay Hill Invitational. He joins a Wells Fargo field that already features the likes of Justin Thomas, Rory McIlroy, Rickie Fowler, Jason Day and Phil Mickelson.